In 1924, James Courtney and Michael Meehan, crew members of the S.S. Watertown, were killed by gas fumes. The sailors were buried at sea off the Mexican coast. For several days thereafter, the ghostly faces of the sailors were clearly seen by other members of the crew in the water following the ship, which caused an uproar. 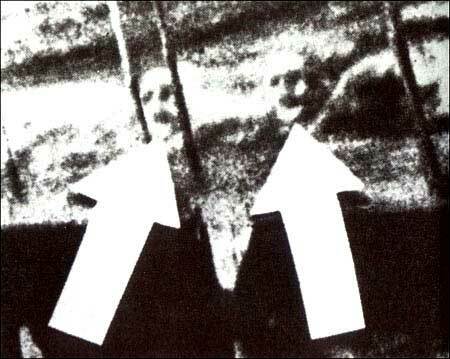 When the faces again appeared in the water, the ship's captain, Keith Tracy, took six photos, then locked the camera and film in the ship's safe. When the film was processed by a commercial developer in New York, five of the exposures showed nothing but sea foam. But the sixth showed the ghostly faces of the dead seamen. The negative was checked by the Burns Detective Agency and revealed no tampering.